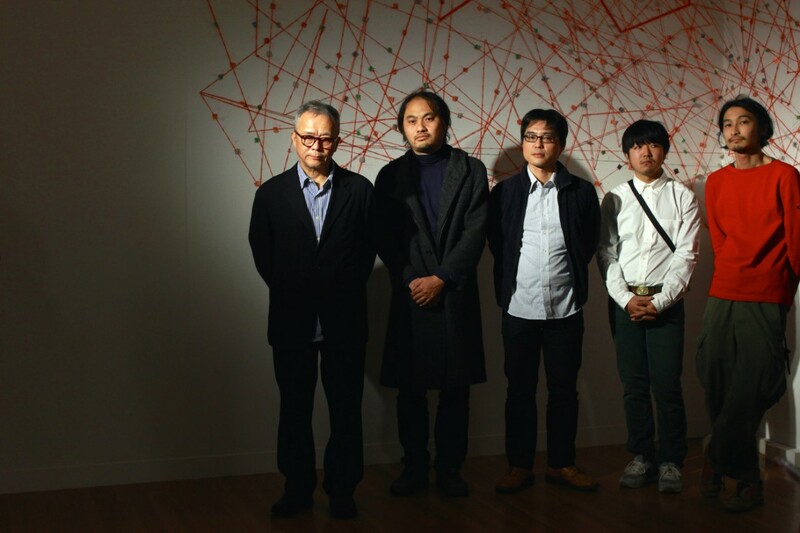 The exhibition “Constellations : Practise for Unseen Connections/ Discoveries” feature a diverse range of artwork of seven Japanese artists. Each artist focuses on the broad term constellation, which is defined as a group of associated or similar people or things. Often these “constellations” are invisible or unknown; such as previously in Futagawa (where Gallery is located) there were channels, which crossed the area. 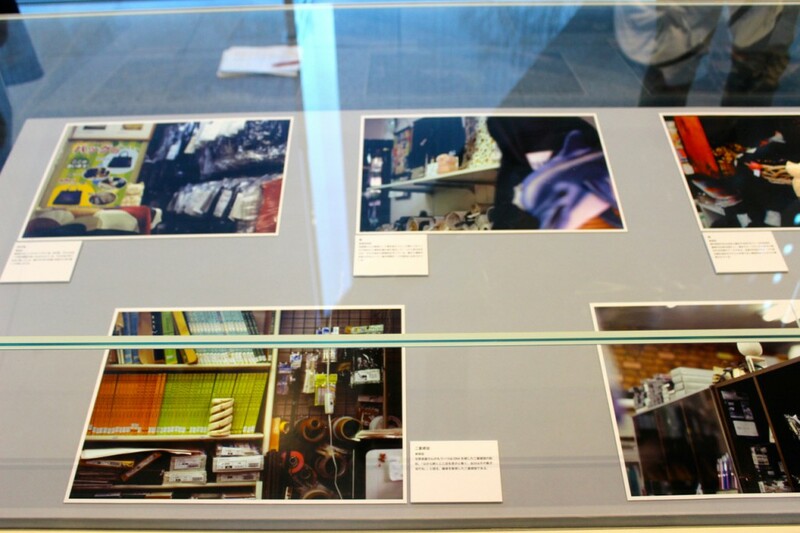 This history is made visible to the viewer through the way the artist visual reference it through their work. 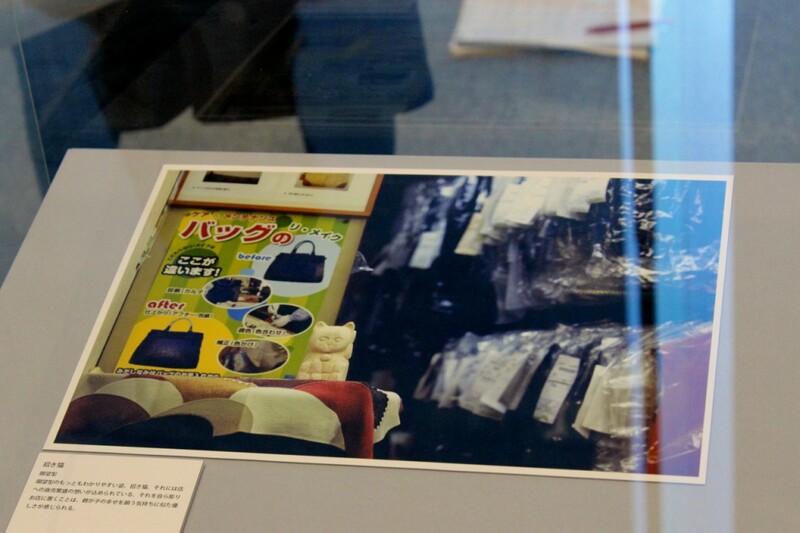 Through this exhibition we are able to make and discover connections between perhaps two subjects that seem at first unrelated. We become acutely aware of our “place”; where we are currently situated, how we are more interconnected than we think, and we leave trying to draw connections between one self and our surroundings. “The “boat” travels through “boundaries” of the museum and once of those canals that existed. The site-specific work, “Crossing boundaries, the boat circulates, the Museum”, by Takayoshi Kitagawa perhaps most directly references the MOT Space in relation to the history of the surrounding area of Futagawa. 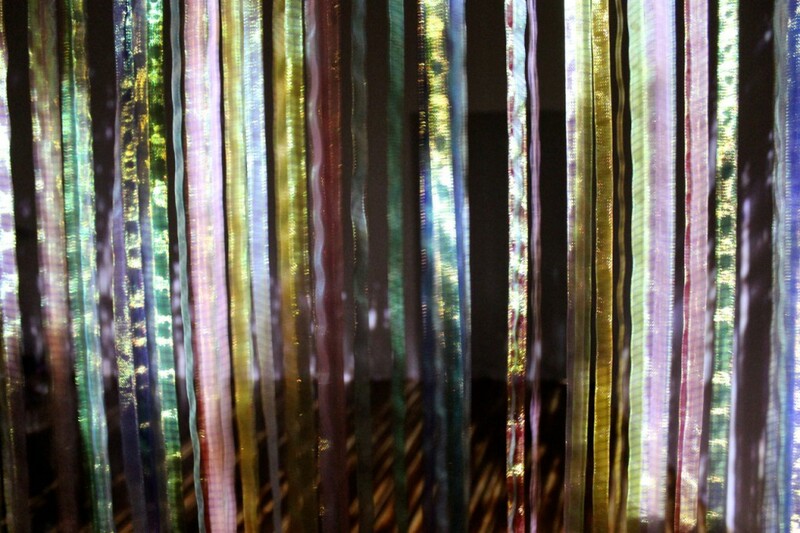 At first when entering his installation it can seem disorientating, as there are moments one feels as though they have walked into a “behind the scenes” or “work in progress space”. You can see the backboards of walls and gallery signs, which seem awkwardly placed. 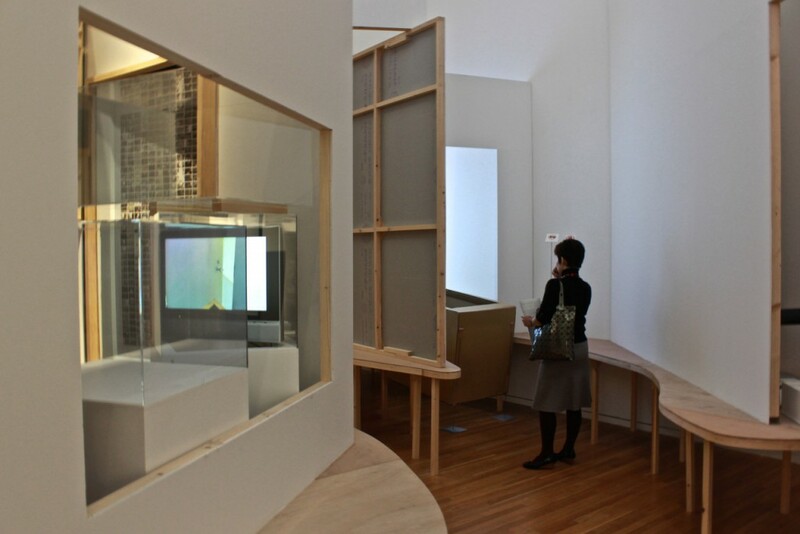 Parts of the walls are cut out and the viewer finds monitors of different sizes are wedged into these spaces. 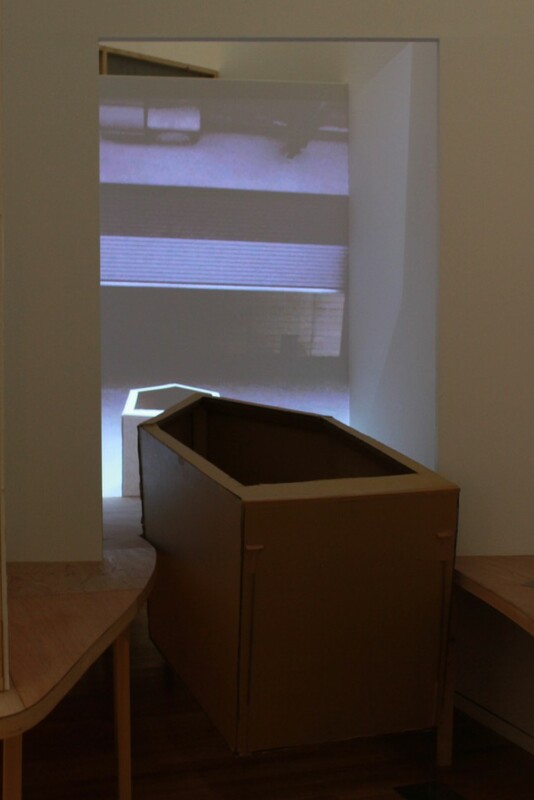 These monitors show various videos made in a “stop motion animated way” of a large cardboard boat shaped box that travels through different spaces of the MOT building. The artist described his process of taking, “roughly five thousand sequence shots, moving through the interior and exterior spaces of the museum and tucked these into space and are pieced together as moving images like nuances layered on top of each other in a piece of sculpture”. 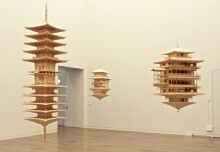 Another artist whose work referenced river of Fukagawa are the two installations of Nobuhiro Shimura. He thoroughly researched the history of Fukagawa and found that, “it is evident, not only from visual materials such as painting and photographs but also from literary works that depict scenes of Fukagawa, that in the days past, people’s lives were closely related to the river water”. 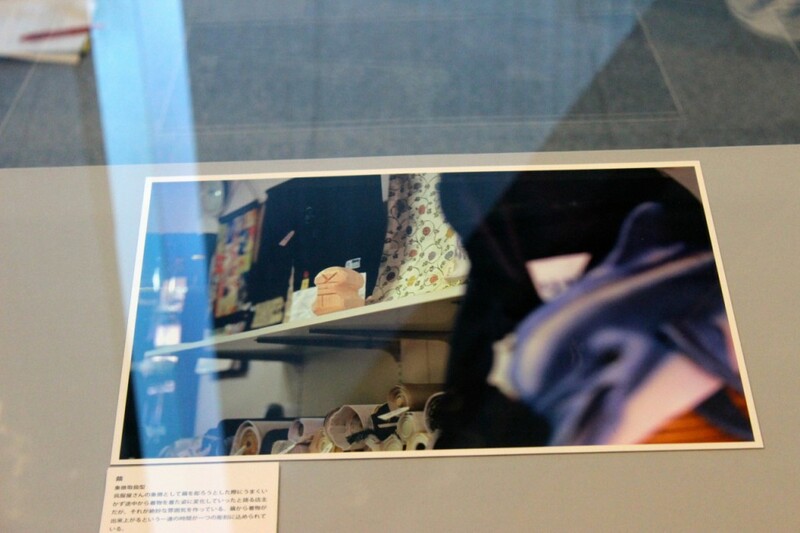 While both Kitagawa’s and Shimura’s work reference the river their works are very different. 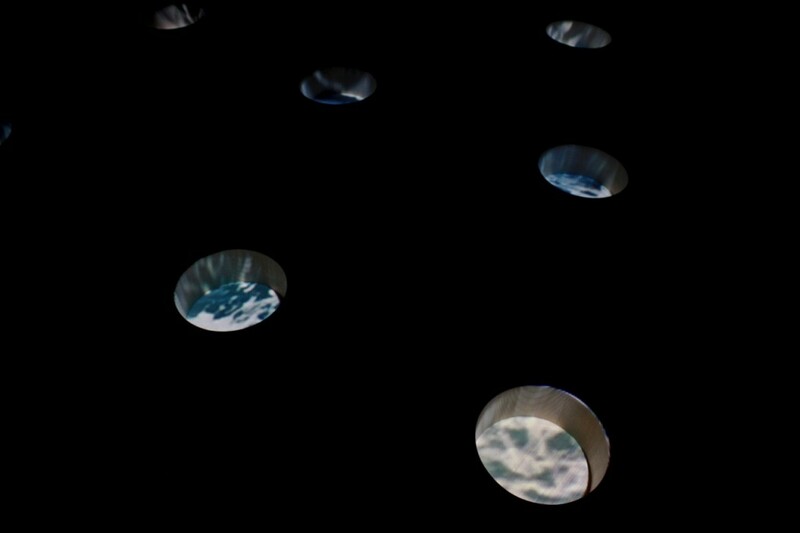 When entering Shiumra’s installations the viewer is transported to a different and much calmer atmosphere and space. 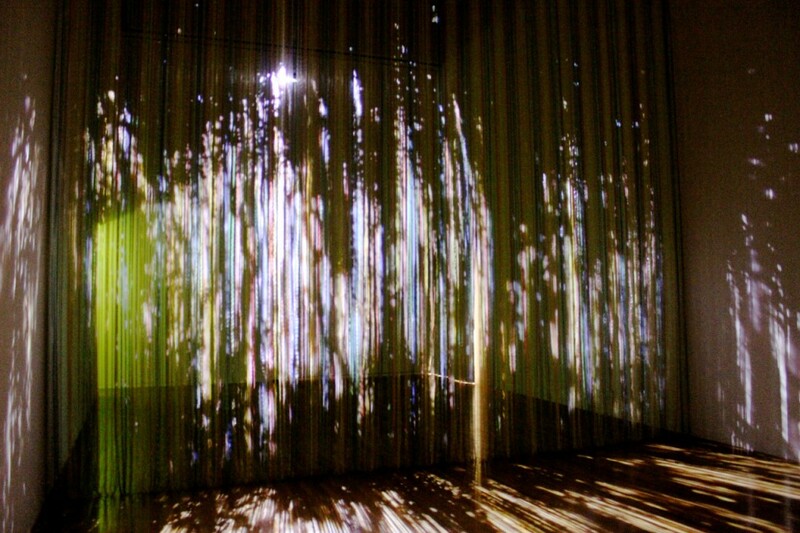 One of the spaces is created from projections of lights through long lines of ribbon to create a shimmering light mimicking that of perhaps a forest at night or being at the bottom of the sea where algae flows. 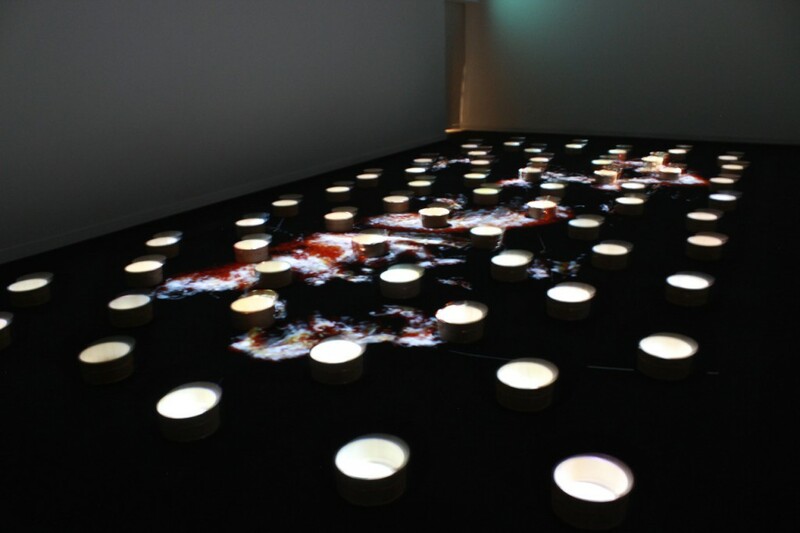 The other installation has several “oke” which is a Japanese wash-bucket are laid on the floor and images of water and fire are projected onto them. 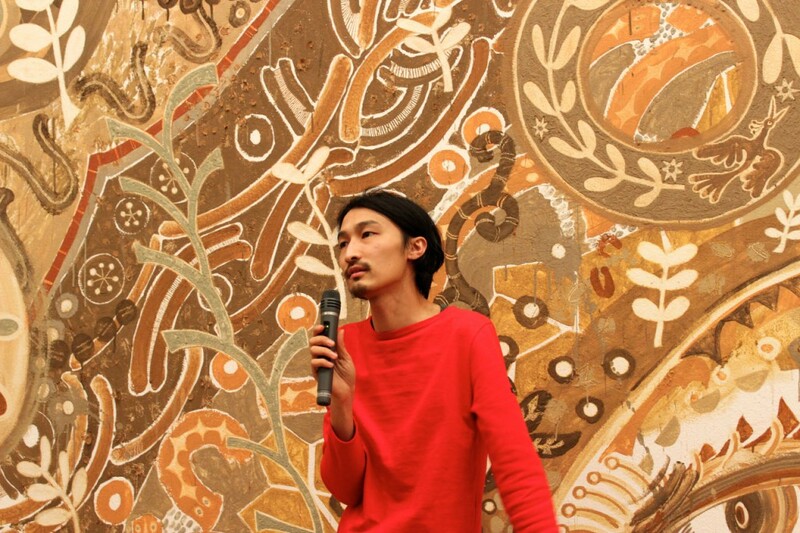 Yusuke Asaki in front of his installation. 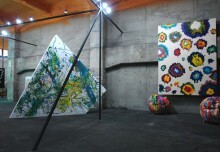 Yusuke Asai’s bright and bold site-specific work manifests itself across the walls and ceiling of the room. He creates a constellation between using the soil of countries across the world such as South Korea, India, and the United States and of course this time the soil of Kiba Park, Kiyosumi Garden and Tomioka Hachima (which are all in the area of MOT). 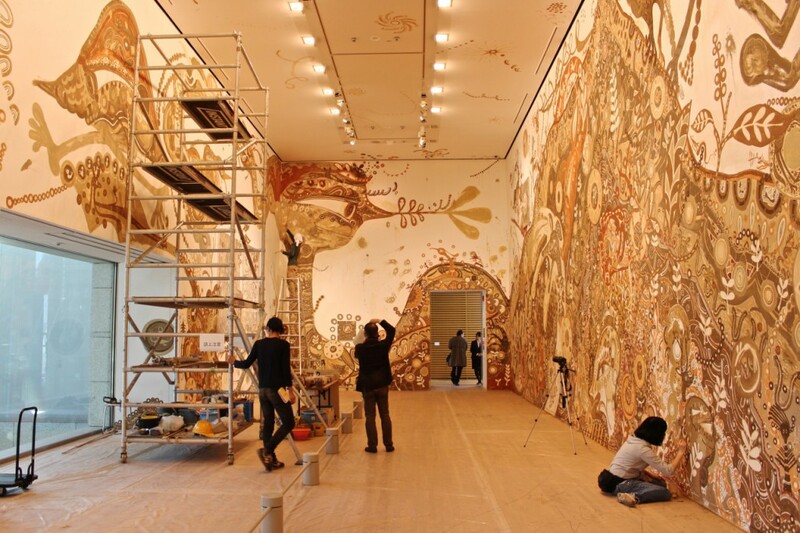 With this soil he creates beautifully detailed and rich murals of imaginary spirit-like creatures and as he creates these paintings he can, “feel the memories of people and things of the ancient past mixing together with the signs of nature that are present in the here and now”. He does not mix glue with the soils when painting the walls because he wants to keep it “alive”. What is particularly intriguing is that the work is not yet complete. 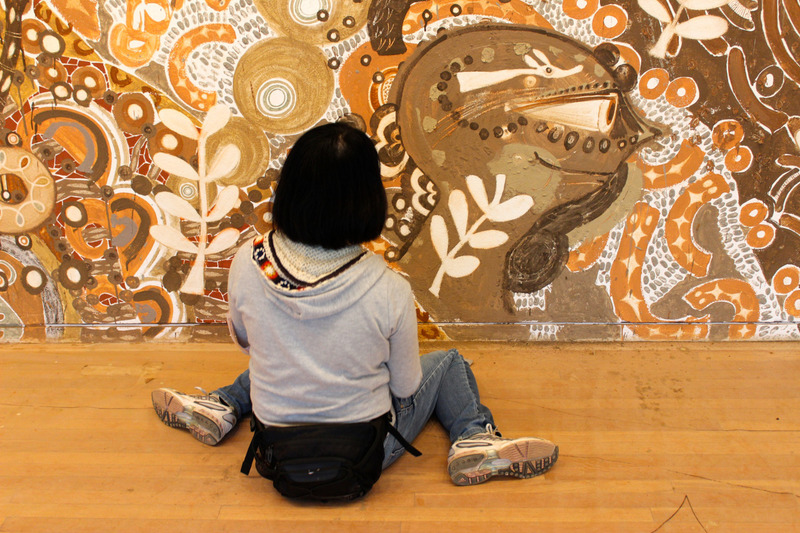 The viewer gets the unique opportunity to see the work at different points of progress as the exhibition goes on. 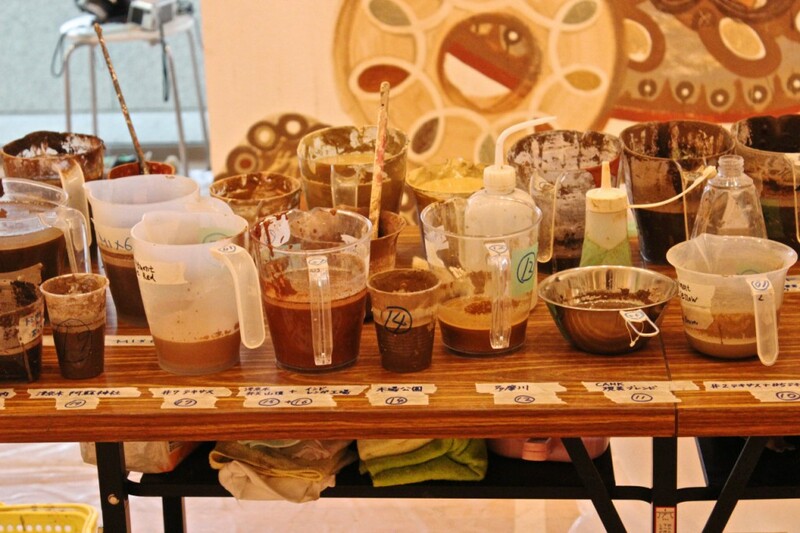 At some points during the exhibition the audience is able to witness the artist himself mixing these soils together and painting directly onto the wall along side his other assistants. Seeing the work being made makes the viewer aware of the sheer enormity and endurance of a task it takes to make the work. One also notices the attention to detail therefore making one appreciate the work even more deeply. 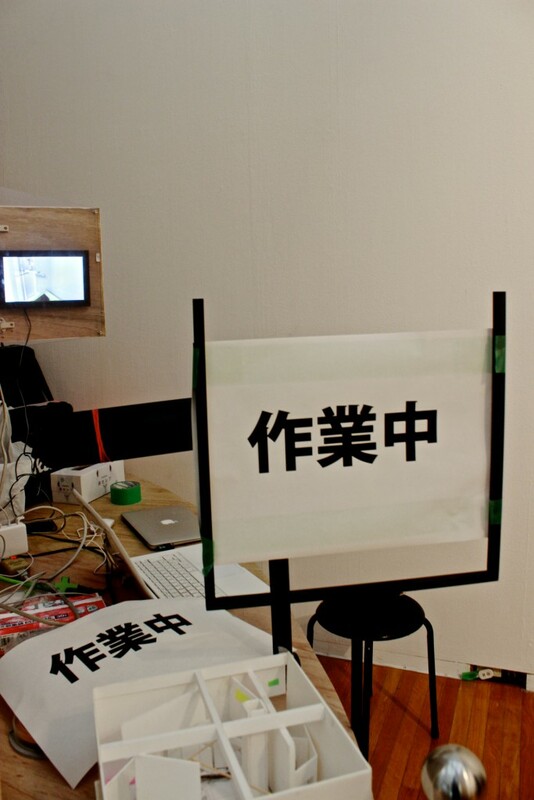 For Asai the completion of the piece is not important for his work but the physical act of the mixing of these different countries. Where we are in relation to a place. What is the history? The people? The culture? Where can we place our self? The site-specificity of each work gives the each piece in the show more depth than what may initially appear on the surface. 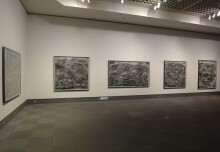 In this exhibition it is interesting to observe how each artist perceived and created their own constellations. The diversity of different approaches each artist took kept the viewer’s on their feet throughout the whole show as one eagerly awaited to see what work was to follow. Each artist successfully made hidden constellations visible. 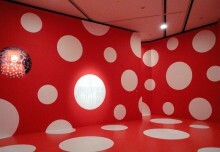 Place: The Museum of Contemporary Art Tokyo, Tokyo.